Combine La Fortuna's Famous Waterfall with a Delicious Chocolate Tour. This tour gives you the chance to learn about – and taste! – chocolate, while also visiting one of La Fortuna’s most famous sites, its waterfall. Start out with a beautiful mountain drive to the breathtaking La Fortuna Waterfall. After time to take in the spectacular jungle view, begin your hike down to the bottom of the 320ft (70m) high waterfall. It’s about 300 steps, and although the path is in good shape, it’s definitely a workout, as you’ll also be climbing back up. After hiking down, take the opportunity to cool off at the bottom in crystal waters under the waterfall! This is the Costa Rica you came for – lush jungle, green plants, sounds of birds, and fresh air. After some time in paradise, head back up and change into dry clothes. Next up: chocolate! You’ve heard of Costa Rican coffee, but did you know that cocoa is also grown here? In fact, the cocoa bean is native to the Americas, and chocolate is one of the many delicious local products that you will be able to try in your time here. Head to a nearby cocoa plantation to learn about how the world’s favorite sweet is grown and processed. 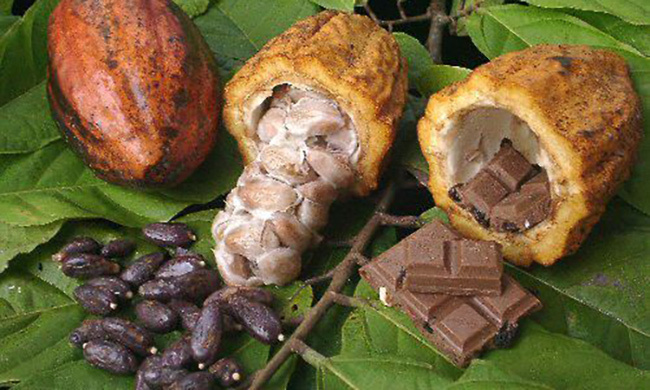 See the different stages of the cocoa bean from pod to pulp to bean. And, of course, end your cultural experience with some freshly made chocolate! How better to end a day in paradise? Your tour includes: Transportation, guide, entrance to La Fortuna Waterfall, samples. Bring: insect repellent, camera, binoculars, comfortable shoes, comfortable clothes. Note: This tour is also available with only the chocolate tour. Talk to your Travel Consultant for details.